I've been looking for a new way to exercise, and my friend's daughter suggested to try skating. I had not skated for quite a while, but when I was a teenager I loved rollerblading. I decided that it was a great idea to get back into skating because I live in a neighbourhood that has plenty of sidewalks where I can skate. 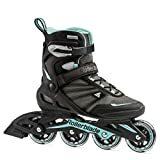 As I was looking for a new pair of inline skates, I came across the Rollerblade Women's Zetrablade 80 Skates. They are a great option for me to use, so I thought I'd create this review to share why I love these inline skates. BEST FIRST INLINE SKATE Zetrablade W is a great entry level skate that can suffice the needs of beginner & casual skaters on a budget. It is supportive, comfortable and easy to use with a smooth ride. These Zetrablade 80 Skates are ideal for women, though there are men's varieties as well. They differ in color and size, but they are basically the same model of skate. I love these skates because they are designed to be used both indoors and outdoors, which means that if you are like me and want to skate around your neighbourhood, they are ideal. They are also great for young adults who want to go to the skating rink for a night out with friends. They are a great option for a beginner or someone who is just getting back into skating. I think that the aesthetic design of these skates is great. It is comprised of mostly neutral colors, which is great for when you want to have skates that match your clothes at the rink. There is some coloration to the design, but it is a subtle plum detailing that is near the laces and the wheels of each skate. There is a loop on the back of the skate to make it easier to put on, which means that you will not need to unlace the skates completely to be able to slide them on with ease. 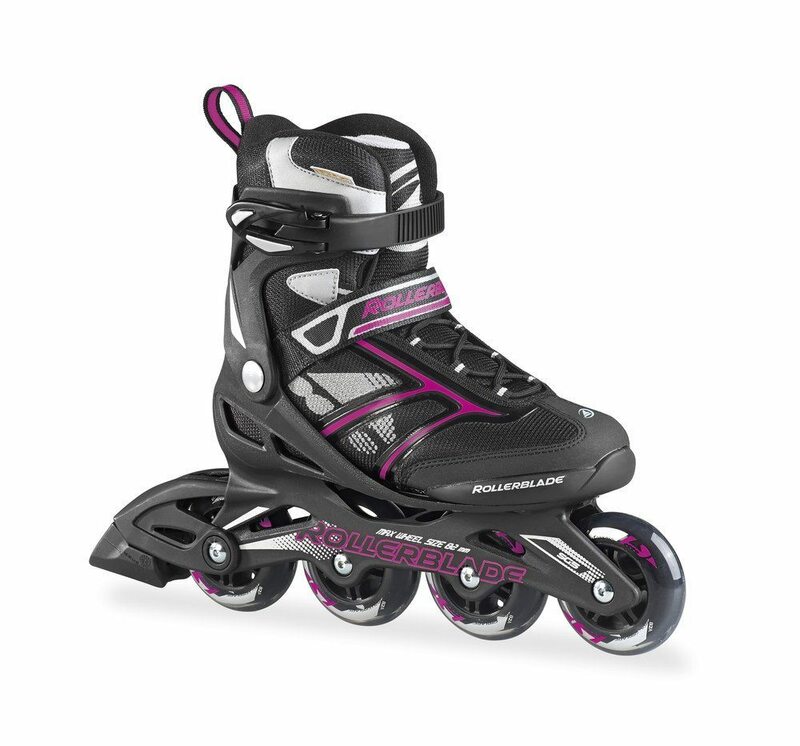 The wheels on these skates are designed for different types of terrain, which means that they are an option for indoor and outdoor skating. I like the ride on pavement, but if the surface is excessively bumpy, you will experience a bit of a rough ride. On sidewalks, I have experienced a pretty smooth ride, but when you are skating in a rink, the shock absorbency is perfect. When I ride the skates, I notice that I never seem to have difficulties balancing, which is great. Because of this, I'd suggest the Zetrablade 80 Skates to any beginner or intermediate level skater. I have weak ankles, so I need a lot of support when I skate so that I do not injure my ankles. I find that the hard outer frame that is designed into these skates offers the level of support that I need. It also has a great closure system. This combination of the laces and the buckles give you the ability to customize the fit of your skates so that each on is snug and secure. The inside of the skate also offers a bit of arch support that makes them great for longer rides. The brakes can be detached, so if you want to ride in a location where you do not need your brakes, you can easily take them off of the skate. These skates are really comfortable to wear. 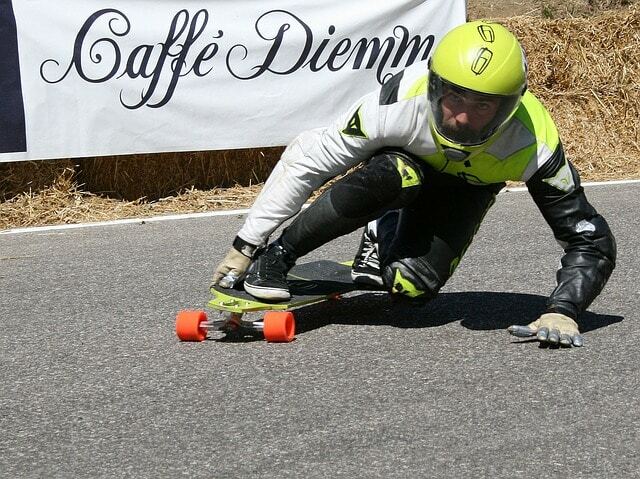 These skates are quite fast when compared to some competitors. The skates run a bit small, so make sure to order a size bigger than your normal shoe size. It only has one brake, and it is located on the left skate, which is inconvenient for some. 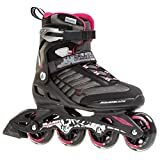 Whether you are looking for a new pair of skates to try out in the rink or a pair to simply skate around the neighborhood, the Rollerblade Women's Zetrablade 80 Skates are a great option for you. They are comfortable to wear, smooth to ride, and they offer a lot of ankle support. 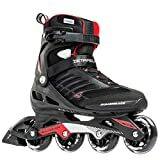 They have a pleasing design that is ideal for most, and they are designed from the originators of the Rollerblade, which means that they are made out of durable material that will last.